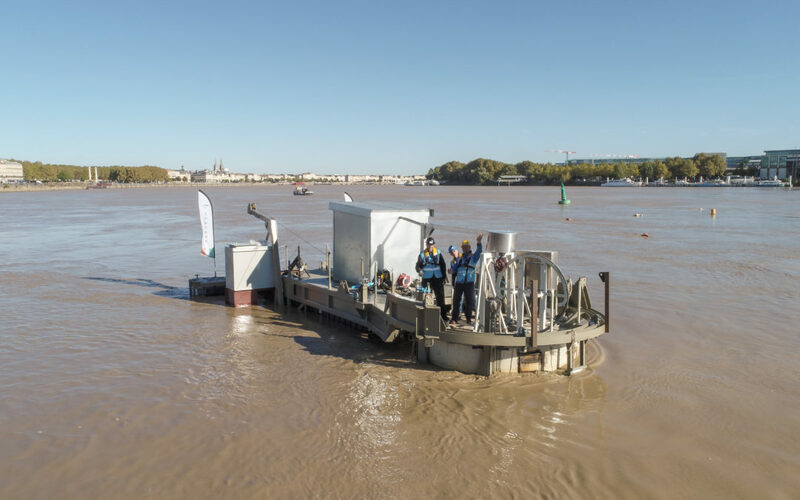 DesignPro Renewables are delighted to share our new video from the recent deployment of our 25kW device at the SEENEOH test site in Bordeaux, France as part of our EU funded Horizon 2020 SME Instrument project. This is a major milestone in our project to develop and commercialise small-scale hydrokinetic turbines. The device was successfully deployed on the 25th of September and will now undergo operational and environmental testing for a 12 month period. We would like to thank Bordeaux company, Visu’Ailes for carrying out the drone footage and Limerick company, Crude Media for putting it all together.